We’ve got big plans and need some help! 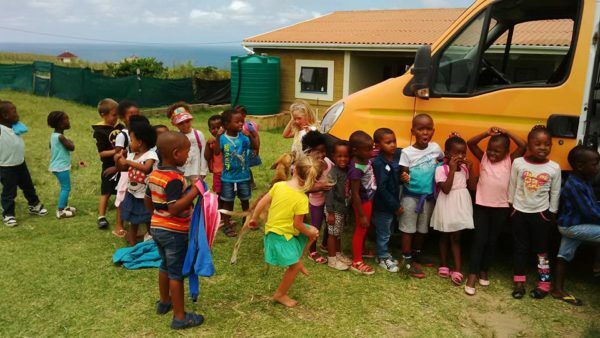 The Wellness Wagon on one of their visits to Ikhaya Labantwana Montessori. Following on from our last post about Sustainable Coffee Bay’s new strategic direction we’re pleased to be able to tell you much has progressed in the months since, but we need your help to continue! Without further funds we will be unable to implement our much needed programmes on a long term basis. Please donate now to support our work in the Coffee Bay community. Presenting at the Wild Coast Forum. 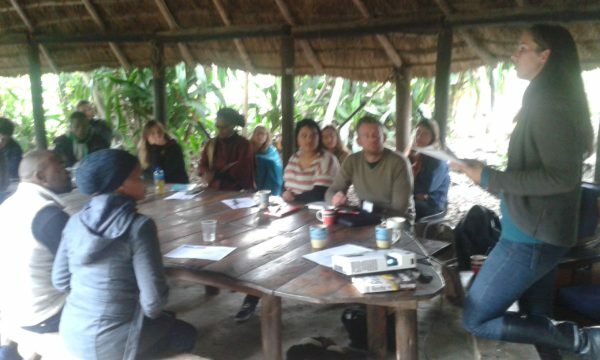 A unique bi-annual gathering of non profit organisations attended this year’s Wild Coast NGO forum facilitated by Sustainable Coffee Bay and hosted at Coffee Shack Backpackers. Perhaps unsurprisingly, the theme this time was Tourism & Development. With over 30 people from 12 organisations, topics for discussion included legal issues for non profits, working with volunteers, internet access and community owned tourism development! An inspiring day, and much relief from the Sustainable Coffee Bay team that it ran smoothly! A big hello to Ziyanda, now assisting Katie in the Sustainable Coffee Bay office! A graduate with a Bachelors degree in Sociology and Criminology, Ziyanda is from our very own Tshezi community and we’re very happy to welcome her on board. Ziyanda recently had the opportunity to attend training in association with Afrika Tikkun and the Bulungula Incubator. The four day course was an introduction to Equality, Human Rights & Diversity and Paralegal Services. With further funding we will be able to facilitate workshops and information services to our local communities. Good to know! Our area and the surrounding villages are an hour away from the nearest small town with expensive and limited transport options. There is a serious issue around being able to access information. There are few radios or televisions in the area, the newspapers do not come this far and only 15% have access to the internet. Only 10% of children starting school in our area go on to complete high school*. By knowing their rights of citizenship, the ability to access government services and ensure quality service provision, community members will be able to lobby and advocate effectively for themselves. Donate now using the reference ‘paralegal’. Parents enjoying the workshop at Ikhaya Labantwana Montessori. 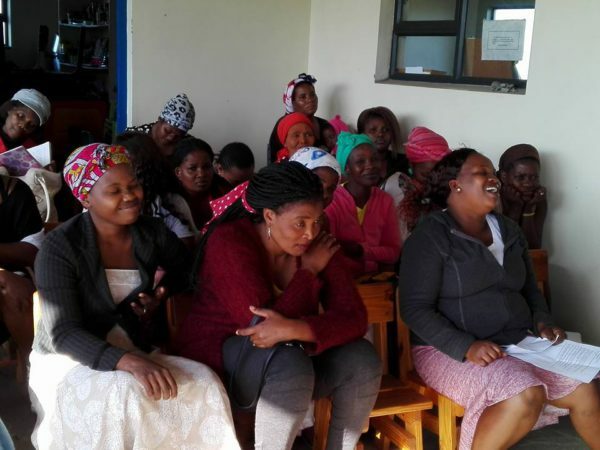 With thanks to one of our dedicated funders, Ikhaya Labantwana Montessori (ILM) held its first Parent Education workshops in May. It was attended by 25 parents which is more than we were expecting! Our aim is to see more parental involvement with their child’s development, improved attendance at school and stimulating activities at home. Parents also learnt how education, social and health care are interwoven. Good to know! At ILM, 92% of children come from disadvantaged backgrounds. For the most part there is no electricity or running water in their homes. Access to basic services becomes limited due to our remote location, a lack of public transport and difficulties paying for transport. The workshop was facilitated by our very own ILM teachers. They did an amazing job of blending traditional child-rearing practises and cultural beliefs with evidence-based approaches from their Montessori training. We’re very proud of their first workshop! 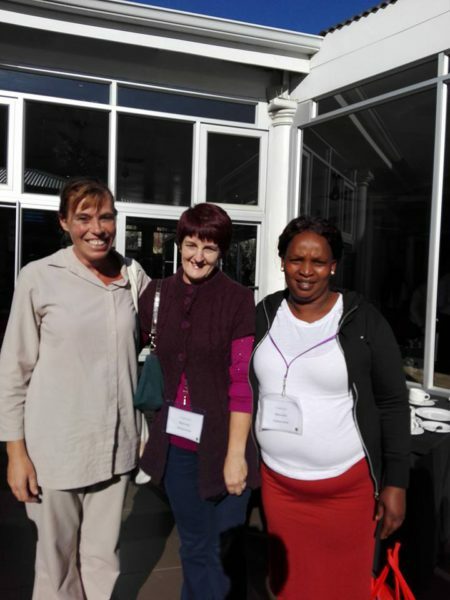 Attending this year’s South African Montessori Association’s conference in Johannesburg. Pictured from left to right: our award-winning and Founding Principal Dawn, our current Principal Marlene and one of our teachers, Fundiswa. A great opportunity to be inspired, learn new ideas and meet likeminded people. After the conference, Fundiswa had the opportunity to spend a couple of days in Johannesburg. Firstly soaking up the flavours of Soweto at Lebo’s Backpackers and then on to observe with the lovely Montessorians at Midrand Montessori. Huge thanks to all for making it happen! If you would like to support our teachers to develop further and expand their horizons and work experiences, please donate now using reference ‘teacher development’. Youth success in the Field… literally! Our student who attended the Tracker Academy last year, graduated in May and found himself a job as a Field Ranger at Marataba Safari Lodge in Limpopo in June. Great efforts and congratulations! We placed two new students with the Tracker Academy in June. One student is attending the original one year course and the other was placed on a new six month course based in the Kalahari. We await their news and progress at the end of the year with interest! We’d love to hear from you with any questions or ideas on our development work in Coffee Bay and we urge you to become a regular supporter if you can and donate now to help us continue our work with and for, the Coffee Bay community! As we say here, “hlala kakhuhle” (stay well)! ← Increasing our impact in 2017!